Check out the biggest new PS4 features from recent system software updates. You’re now able to alter your Online ID on PlayStation Network – your screen name that displays wherever you sign in to PlayStation online services, including online gaming. It’s free to change your Online ID the first time. After that, a charge applies for any additional change – however PlayStation Plus members can save 50% on this fee. Also, some games may experience issues if you change your Online ID, so it’s important to read our Help & Support guide and check the list of tested games before proceeding. It’s now even easier to listen to your favourite songs via your Spotify account, without having to leave your game. Access the PS4 Quick Menu and you’ll find a new ‘Recently played’ option, allowing you to replay your favourite tracks at the touch of a button. We’ve updated the What’s New feed on your PS4 to let you share anything from the web more easily. Now, if you or your friends share a URL, you’ll see a clickable thumbnail image appear within What’s New, along with a preview description of what you’ve shared. In addition to streaming from the PS Now library of over 500 games, members can now choose to download any of the PS4 titles in the collection to their PS4 console’s HDD – allowing you to play in full high definition and with 5.1 surround sound. We’ve improved the way you and your friends can chat in a PS4 party when you’re playing games from the PS Now library – so you’ll never have to pause your conversation while you navigate between menus. With this update we’ve extended the family controls made available in previous updates, which included restrictions on age rated games and movies, PSN wallet spending and access to online features. Play Time sessions for any time that suits you. or on PC or mobile device via the web portal. Add a personal touch to your PS4 by using your own photos as wallpaper for your home screen. Just find your favourite picture of your cats, your most ridiculous selfie or anything else you want to use, add it to a folder named “IMAGES” on a USB stick and insert it into your PS4. For the best results, your chosen images should be 1920x1080 resolution for PS4, and 3860x2160 for PS4 Pro. System software 5.50 adds improvements to your library, new features to your Quick Menu, and better ways to stay on top of your notifications. Filter your library search results by games, apps and more, and sort all games in your library based on whether they’re installed on your HDD or not. See all of your PS Plus games that you’ve installed on your PS4, or have been added to your library to download and play later. 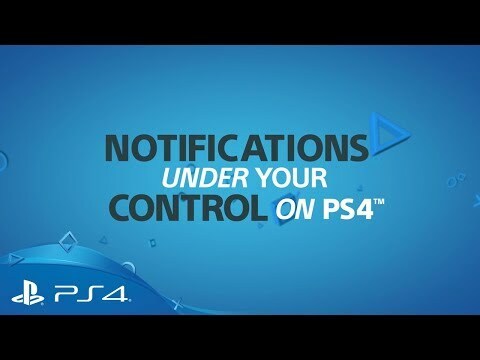 Keep your notifications organised by selecting single or multiple alerts at once and removing them permanently from your PS4 – so you can stay on top of downloads, game invites and everything else that happens in your notification list. Custom friends lists: Access your custom lists from the Quick Menu to see who’s online, and send them party invites or messages without having to leave your game. Enhanced music controls: Get even more control over your music, whether it’s playing from Spotify or the PS4 media player. Experience your PS4 Pro-enhanced games in even more stunning detail when you play on a non-4K TV. New Supersampling mode for PS4 Pro takes your game’s highest resolution and uses it in certain games to deliver sharper lines, smoother edges and refined details when downscaling the image to a non-4K TV. PS4 is always evolving - check out these major features that have been added in recent updates. Get set up as a Family Manager and you’ll be able to oversee everything your Family can play, watch and do online via the improved Family on PSN settings. Replacing the previous master/sub account setup, you can now individually manage age-rated games and movies, control spending from your PSN wallet, restrict web browser and online access and more. Alongside the launch of Family on PSN, you can now sign in to a dedicated web portal and manage your Family Members’ PS4 permissions from PC, smartphone, or from your PS4 settings menu. You can now connect any USB 3.0 storage device to your PS4, format it to the correct spec and download, install or move new games and apps onto it. USB storage devices up to 8TB can be used, giving an incredible amount of space to save and organise your games. 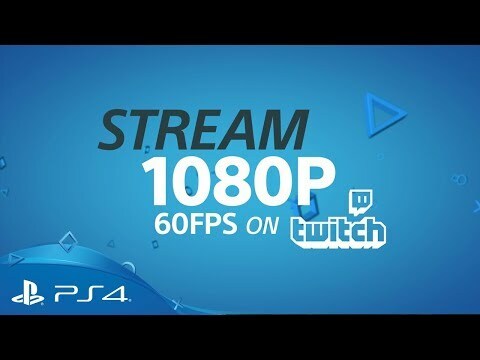 Broadcast your gameplay or watch other players’ streams in 1080p HD and at 60 frames per second with PS4 Pro. Share your favourite tracks from Spotify with your friends via PS4 messaging, and they’ll be able to listen to the track directly from the message and add it to their own playlists via the Spotify mobile app. 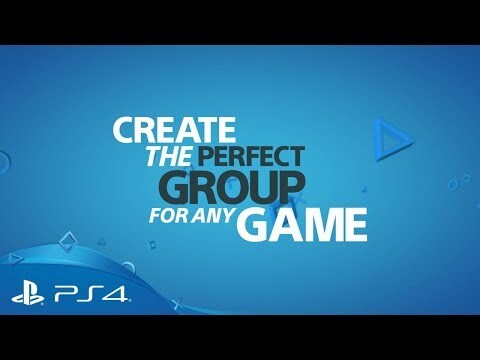 Create custom lists of all your PSN friends and arrange them into groups. All PS4 and PS4 Pro consoles now support HDR displays, bringing richer, more vibrant colours to supported games like Horizon Zero Dawn, FIFA 17 and Uncharted 4: A Thief’s End. If you own a HDR-enabled TV, your PS4 will now be able to take full advantage of this to deliver a broader colour spectrum much closer to what the human eye can detect. Your PS4 home screen, profile page and how you organise your games and apps are yours to personalise however you want. Customise your home screen with a new background chosen from your gallery of in-game screenshots. Update your profile with a fresh background image from your gallery of in-game screenshots. Post status updates and share screenshots direct to your friends’ What’s New feed. Organise your games and apps into custom folders, letting you arrange and group them however you like. You can now easily move all your data - including games saves, personal settings and downloaded content – between your existing console and a new console using your home network. All you’ll need is a wired networking cable, your home router and access to the internet. Find out how to update your PS4 with the latest system software, and get the full list of changes and features.